Artcurial’s top Paris Rétromobile 2017 classic car auction result was $4,650,000 for a 1965 Dino Berlinetta Speciale by Pinin Farina. A one-off 1965 Dino Berlinetta Speciale designed for Ferrari by Pinin Farina sold for €4,390,000 ($4,653,824) as the highest price paid at the Artcurial Paris Rétromobile 2017 classic car sale and the top result of the Paris auction week. 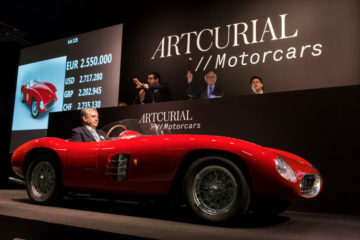 Other multimillion results at the Artcurial auction included a 1948 Ferrari 166 Spider Corsa, a 1972 Lamborghini Miura SV and a 1935 Bugatti Type 57 Atalante découvrable. 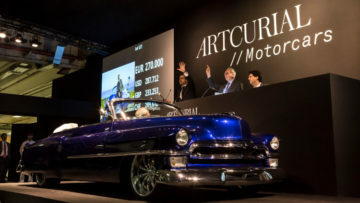 Artcurial sold seven cars for over a million dollar and broke four model records during the marathon auction – including two vehicles of Johnny Hallyday that were sold for charity. 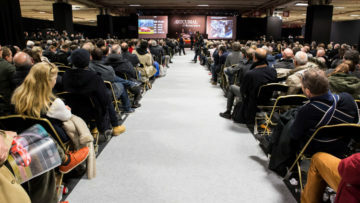 Artcurial held its annual Paris Rétromobile sale in Paris on February 10 and 11, 2017. 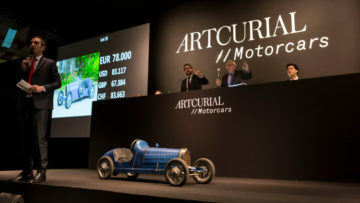 During the marathon nearly eight hour auction, led by Hervé Poulain, Matthieu Lamoure and Pierre Novikoff, Artcurial grossed €32 million ($33.9 million) with a sell-through rate of 73%. If the exceptional 1957 Ferrari 315 / 335 Sport that fetched €32.1 million in 2016 is excluded, the 2017 auction represents an increase of 33% over the 2016 total. 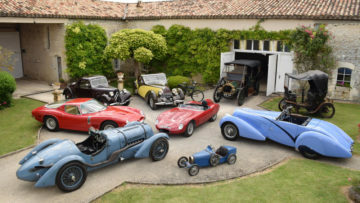 During the Artcurial Paris Rétromobile 2017 auction, four new auction model records were set, 59 cars sold for over €100,000, 11 for more than €500,000 and 7 for more than a million euro. Auction held in euro. Dollar conversion as per results published the day following the sale. Results may include post-hammer deals if already published the day after the auction. The top result at the Artcurial Paris Rétromobile 2017 sale was €4,390,400 ($4,653,824) paid for a 1965 Dino Berlinetta Speciale by Pininfarina. This unique vehicle entered the auction without reserve and a “shot in the dark” pre-sale estimate of €4,000,000 – €8,000,000). The 1965 Dino Berlinetta Speciale was designed for Ferrari by Pininfarina and is considered the first ever mid-engine GT Ferrari. This fine-looking car is unfortunately fitted with an engine without internal moving parts making it only suitable for static display. The car has been in the Automobile du Mans Museum since 1967. Artcurial’s second highest result at the Paris 2017 auction was €2,960,000 ($3,138,024) for a 1948 Ferrari 166 Spyder Corsa. This was the only car in the auction without a pre-sale estimate and the owner probably expected a bit more but bidding was not exactly spirited on the car. The 1948 Ferrari 166 Spyder Corsa is an important car from Ferrari’s early history as a carmaker. This car was one of the first Ferraris produced for a private client, who extensively raced it in period to good results but no memorable victories. 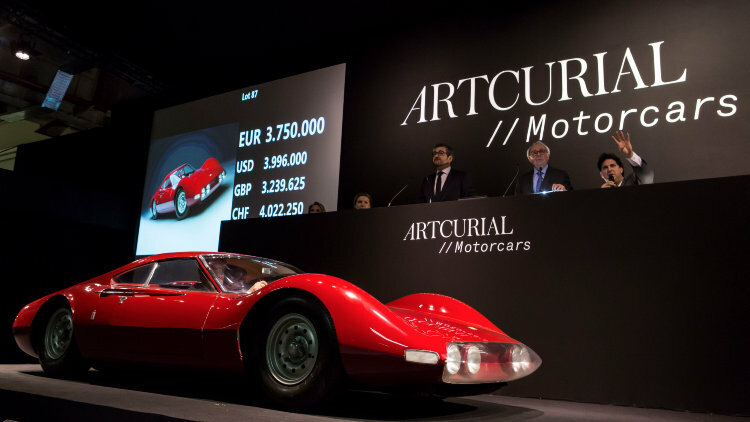 Artcurial had a large number of Lamborghinis on offer at the Paris 2017 sale ranging from a 1954 Lamborghini tractor to the 1972 Lamborghini Miura SV that sold for mid-estimate €2,338,400 ($2,946,384). This Lamborghini is one of only two dry sump / air conditioned Miura SVs sold in Europe. 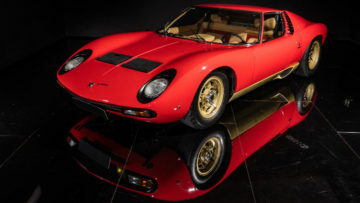 The 1968 Lamborghini Miura P400 just failed to reach the million dollar mark when it achieved €880,000 ($941,280). 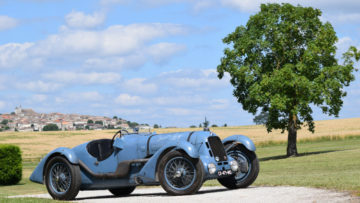 Artcurial had a surprisingly strong result when a 1935 Bugatti Type 57 Atalante découvrable sold for €2,331,200 ($2,471,072) – well above the pre-sale estimate of €1,000,000-€1,500,000. This was the only of the top-ten cars that Artcurial listed as having been sold to an American rather than European buyer. This 1935 Bugatti Type 57 Atalante Découvrable was the first Atalante produced and it was presented at the Paris Motor Show in 1935. It is one of only eight made with a fold-down roof and the only one to have survived with its original chassis. Despite the strong result, the price may look cheap in comparison to what RM Sotheby’s expects to achieve on a 1937 Bugatti Type 57 S Cabriolet by Vanvooren that will be offered at the Amelia Island 2017 sale. The 1936 Talbot Lago T150C, chassis 82930, sold for a new model record €1,610,500 ($1,707,130). This particular Talbot Lago is an important French racing car from the 1930s that participated in the Le Mans 24 Hours race four times driven by amongst others Chiron, Chinetti and Levegh. It was actively raced from 1936 to 1939 and again from 1946 to 1950. Rather uniquely for a car this well known, it has changed owners around 25 times since new. Artcurial sold a 1987 Porsche 959 Komfort for €1,130,000 ($1,197,800). Early enthusiastic bidding for the car stopped well short of a million euro. In contrast, a rarer Porsche 959 Sport sold at RM Sotheby’s two days earlier for a model record €1,960,000 ($2,093,280) – the first 959 to break the two-million-dollar mark. Mercedes Benz 300 SLs struggled to sell during the Paris auctions with only the large European premiums demanded helping the results over the million-dollar mark. Artcurial sold a 1961 Mercedes Benz 300 SL Roadster for €1,060,900 ($1,124,554) while bidding for a 1956 Mercedes Benz 300 SL Coupe Gullwing (Papillon) with special factory specifications stopped short of the reserve at €1,050,000. A day earlier, Bonhams sold another Gullwing for a below expectations €1,016,666 ($1,087,020). 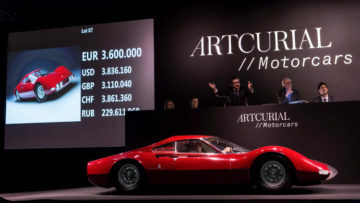 In what must certainly give hope to 365 GTB/4 sellers, Artcurial managed to sell a 1972 Ferrari 365 GTB/4 Daytona Berlinetta in a post-hammer deal for a very good €798,600 ($846,516) – bidding stopped at €670,000. The four Ferrari 365 GTB/4 Daytona Berlinettas offered at Scottsdale / Arizona 2017 failed to sell. Three were on offer in Paris with RM Sotheby’s selling a 1969 Ferrari 365 GTB/4 Daytona Berlinetta for a respectable €705,600 while bidding stopped just above €500,000 at Bonhams.